It is not the deepest, steepest, longest or strongest but from its source in Germany’s Black Forest town of Donaueschingen, to its mouth in Romania’s free port of Sulina on the Black Sea, the Danube is by far the world’s most politically complex river, traversing ten countries, and with tributaries, draining nine more. Geostrategic forces have shaped borders since ancient Rome. 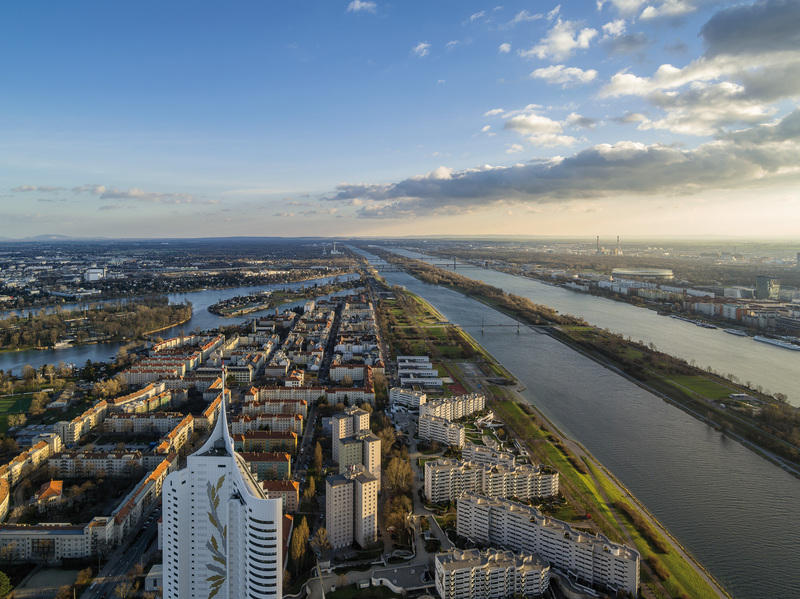 But as urbanisation has brought new threats, today’s Danube is primarily an urban river that runs through or past 98 cities, including four major capitals. Yet for centuries, the river sparked rivalries rather than trust. Each city along the river acted more or less alone, despite sharing a common resource. They worked in isolation within the same country, let alone across national borders; and this worsened after World War II with divisions into the Eastern European bloc. All too often, cities diverted upstream currents like an intake pipe for use, then disposed of urban waste (treated or untreated) back downstream as a natural sewer. But this changed starting in 1993, after the Iron Curtain fell, when a new utility alliance set out to replenish the Danube. Rather than emerge in a vacuum, this effort builds upon past diplomatic efforts. National delegations formed the cooperative Danube River Protection Convention, and set up the international commission (ICPDR) to implement it. Yet the international alliance lacked the energetic involvement by city utilities both upstream and down. Few platforms helped water professionals share experience, best practices, and coordination within its larger scope. IAWD has strengthened the voice of the utility operators and owners in the debate about river management, says Kling. Water provision and wastewater treatment are recognised as core elements of responsible river basin management. More recent measures seek to bolster cooperation among water professionals and enhance the region’s utility sector. IAWD and the World Bank leveraged €9.5 million in funds from Austria to launch the Danube Water Program to provide analysis, share knowledge, develop capacity and unlock grants. More recently, IAWD signed a memorandum of understanding with the International Water Association to build capacity, engage national entities, and open up more learning and networking opportunities for Young Water Professionals in the region. At a meeting in Prague on 22 September, the IWA announced that IAWD has taken on the role of Coordinator of the Danube-Black Sea Region. Like the physical river itself, information, funds and capacity building efforts tend to flow downstream. Indeed, IAWD has collected performance indicators and metrics for success, and while it seeks to harmonise the basin as a whole, there is greater demand in lower elevation cities. The institution was set up to address exactly those challenges for water services, to help overcome the economic differences, with Western members supporting their Eastern colleagues. “Some worried about cooperation between the World Bank and IAWD, given the disparate scales. But Weller has found it a “highly practical marriage.” The high-level economic skills of the bank complement the on-the-ground technical competence of IAWD, and the differing skills and perspectives seem to fit well together. It remains a challenge to manage facilities in an economically sound and sustainable way. IAWD offers a new model for riparian cities in other basins. Riparian stakeholders who value institutions within a basin’s ecological boundaries can support cooperation synergies. Indeed, Kling anticipates IWA’s role in a “third phase” of the Danube Water Program as being a “necessary evolution” that links urban utilities with hydropower, flood protection, and navigation. Previous articleWhat is the value of your meter data?